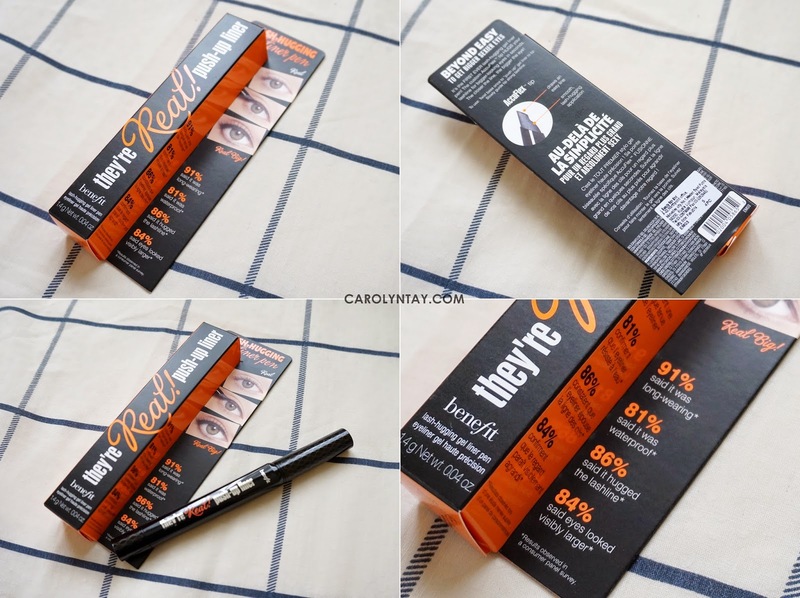 One more day till the official global launch of the Benefit's They're Real Push Up Liner ♥ Are you ready?? If you haven't make up your mind on purchasing this awesome liner, maybe this review can clear your doubts and answer your questions. Benefit's Real Push Up Liner is a Lash- Hugging Gel Liner in a pen, which means less mess and more control when you apply your eye liner. 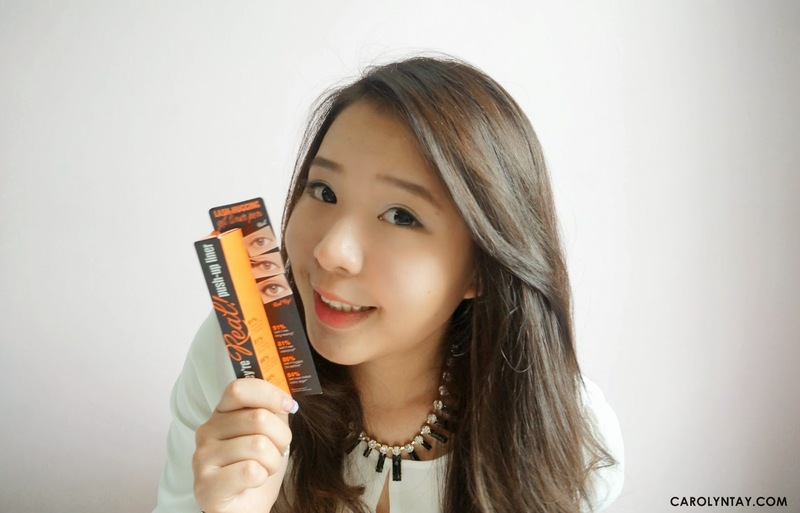 This is the perfect dummy-proof eyeliner for make up beginners and it is made easy to control the drawings. This product states that 91% said it was long wearing, 81% agrees that it is waterproof, 88% said it hugged the lashline and 84% said eyes looked visibly larger! How true?? 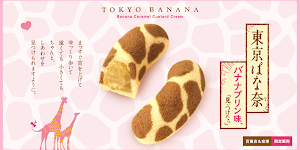 The thing that caught my attention was the innovating design that was put into this liner. 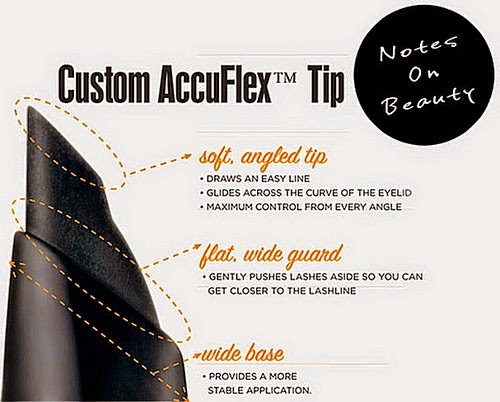 The AccuFlex™ tip was something new to the cosmetic world, and it is the uniqueness of this gel liner pen. 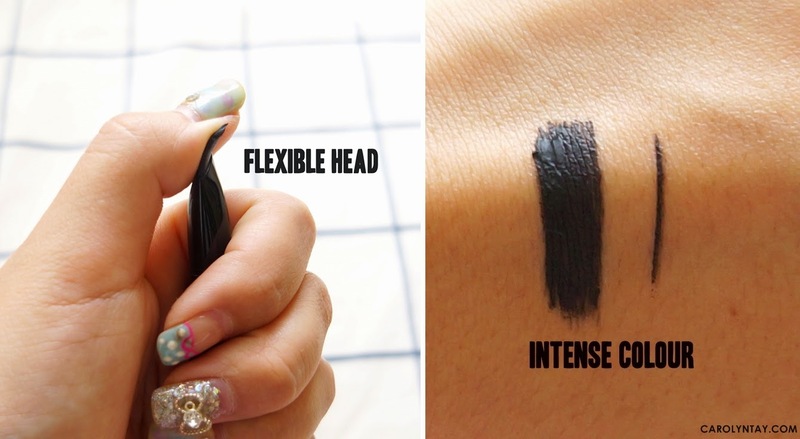 This rubber tip makes a world of difference when you’re applying gel liner. The tip hugs your lash line and it gives you immense control and flexibility on design. This gel liner pen has become my holy grail! It’s great for this hot weather because it doesn't flake and does not transfer on the lid. It's a gel in pen form. Can it be any more convenient? The tip of this pen is the main attraction of this gel liner. It's thin, flexible and it bends with the natural curve of your lash line as it dispenses the gel formula. How amazing! Travel friendly as you do not need a brush! 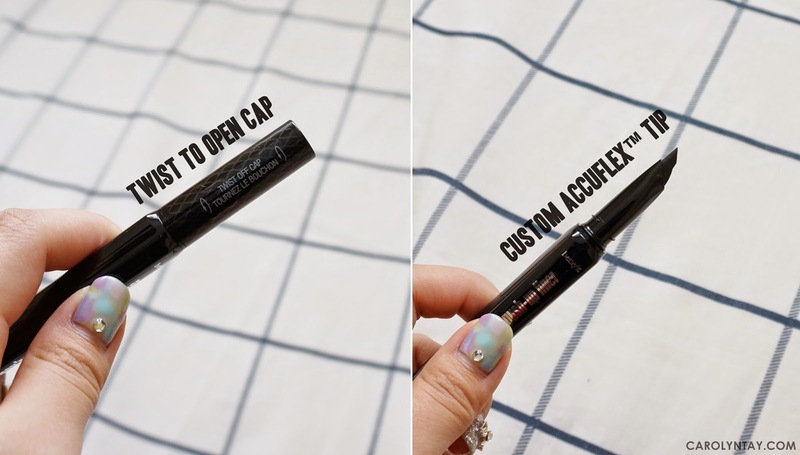 The gel liner comes with a cap so everything is protected. 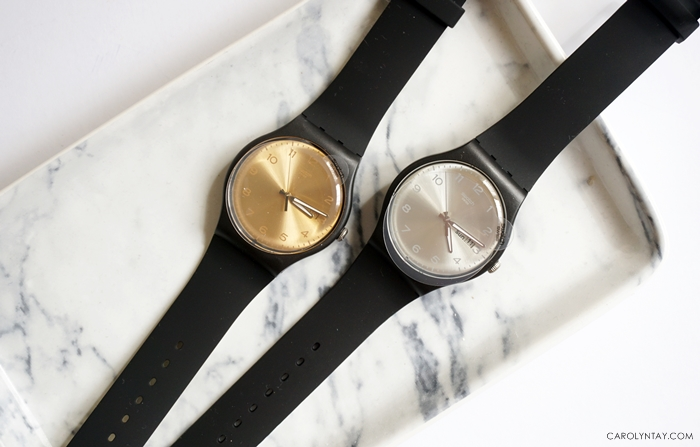 Throw it in your handbag and you're good to go! It's a push-up liner, with just a click, the gel is dispensed from the tip. You won't end up using too much of it and you won't need to worry that the gel in the pot dries out. Available at all Benefit stores on 27th of June 2014 onwards!